Stacy Tilton Reviews: Are you snack ready? When the hunger strikes and your on the go I say it's always best to be prepared. I for one actually keep a small cooler bag in my car all the time with bottle water and snacks to help me avoid the temptation of stopping at a convenience store or hitting a fast food drive through. One pre-packaged snack that I enjoy on the go are these gluten-free snacks from authentic Greek brand, Gaea, that make eating healthy a breeze at any time of day. They're tasty, perfect for enjoying alone or with a friend, and they are portable. Gaea Olive Snack Packs: These Olive Snack Packs are a savory, low-calorie and healthy snack to throw in your tote or take on-the-go. 100% natural, containing zero additives or preservatives and very low salinity, the olives are packed in a handy re-sealable package, without liquid, allowing the convenience of snacking now and later. Available in three varieties: Pitted Green Olives Marinated with Chili and Black Pepper, Pitted Green Olives Marinated with Lemon and Oregano, and Pitted Kalamata Olives, 100% Natural and Sun Ripened. Available in three varieties: Carrot, Cauliflower and Gherkin. For those kiddos in the back seat a snacking option might be Welch's Fruit Snacks. They are available year round in their standard box, and right now for a limited time in a Valentine's Day themed box. Great for snacking on the go, or for classroom parties! 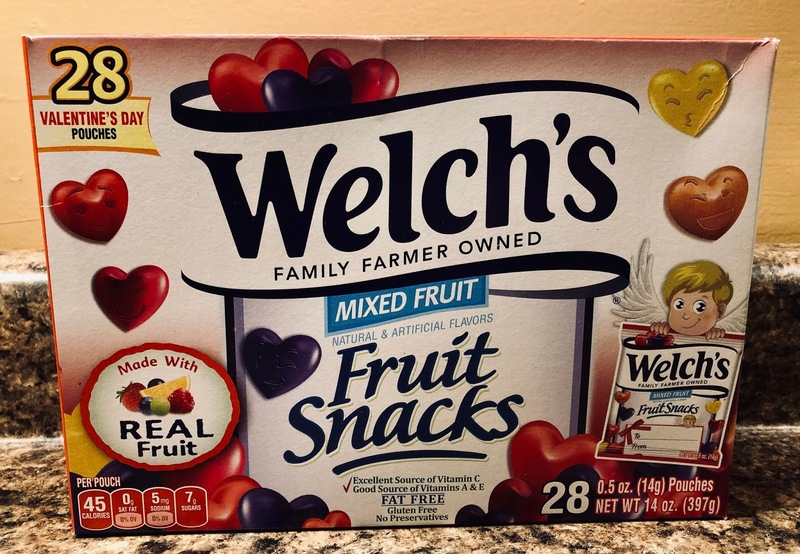 The limited-edition Welch’s Fruit Snacks Valentine’s Day box and pouch have custom Valentine’s Day-themed graphics with heart-shaped pieces and fun emoji faces. Even better, these fruit snacks are perfect for Valentine’s Day classroom exchanges as each pouch features a “To/From” signable front panel. Welch’s Fruit Snacks are made with REAL fruit (which is the first ingredient), are gluten and fat free, and contain no preservatives. 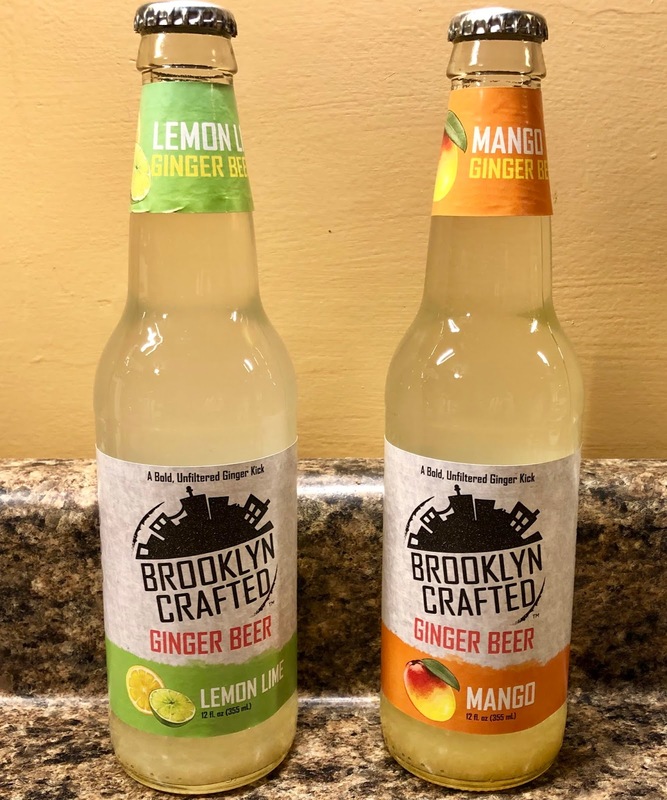 Cased in 12 and 7 fluid ounce bottles, Brooklyn Crafted’s ginger beers pack a zesty punch and are made with 100% fresh, unfiltered ginger pieces you can actually SEE. They are great for enjoying on the go, or at the end of the day when you're ready to unwind and want something a little different to enjoy. Available in a variety of flavors – Extra Spicy, Sugar Free, Earl Grey, Lemon & Lime and more – Brooklyn Crafted is perfect on their own or incorporated into cocktails. These are all neat ideas. I had never heard of those gherkin snacks! I learned of some new products that I'd love to try! I can't wait to try the Gaea Veggie Snacks.